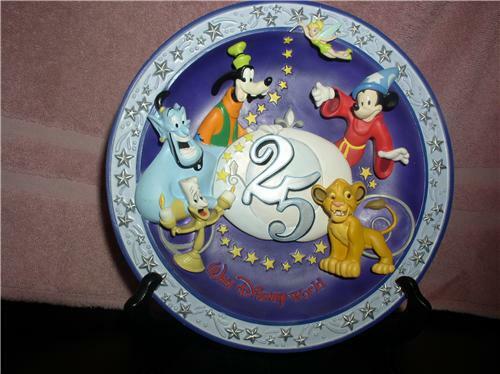 Walt Disney 25 years Anniversary A Magical Time in a Magical Place Plate dated 1996. Mint condition. 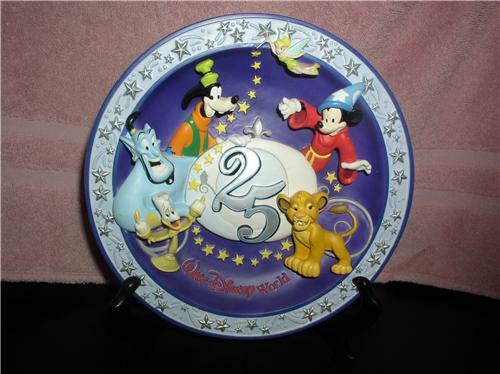 This 3 D plate is in mint condition and has Lumiere the Candlestick from Beauty and the Beast, the Genie from Aladdin, Goofy, Mickey Sorcerer, Simba from the Lion King and Tinkerbelle. 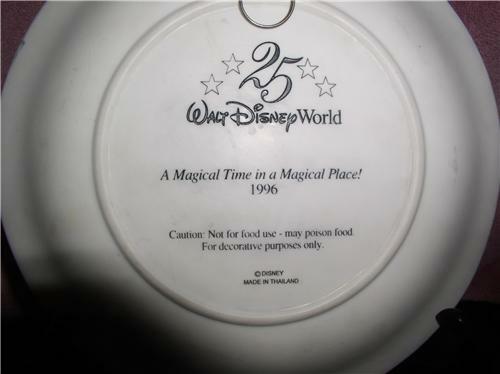 The plate stand is mine and will not be included in this sale.